From blockchain cryptoeconmics to user generated content in vlogging, live-streaming and micro video apps, GenZ (born 1995 and after) are changing the future of the internet. The rise of personal brands and influencer marketing have made YouTube, Instagram and now TikTok apps that drive incredible traffic for retail brands all over the world. When I founded the WOM Protocol, I was looking to bring word-of-mouth recommendations to the world combined with blockchain. I believe this generation of the Gen Z will finally prefer cryptoeconomics to advertising as the primary incentives of the communities they build. But since it’s near the end of the year, let’s take a loot at some of the biggest earners. This data is via CNBC and is based on Forbes estimates. In fact, the majority of the top earners on YouTube are in their 20s and make over $10 million a year. Curiously the list is also an all male cast. Vlogging has become such a phenomena it’s changing our consumption patterns, as more people watch long form videos on YouTube. Logan Paul, who’s most known for his pranks, reaction videos and outrageous skits, makes money off of his videos, brand deals and merchandise. Felix Kjellberg, PewDiePie’s real name, is a Swedish YouTuber who remains one of the most followed stars despite controversy. Jeffree Star attends the 3rd Annual RuPaul’s DragCon on April 29, 2017. DanTDM attends the European Premiere of “Ralph Breaks The Internet’”on November 25, 2018. In the past advertising used to be more overt but now the peer-to-peer influence has become more primary as more platforms can allow people to go viral with their creative contributions. With the rise of micro video apps it’s highly likely crypto and digital assets will become the incentives of such apps, to both attract, gain and retain users and creators building influencer marketing channels of the future. GenZ are building the internet that they want, and blockchain is likely to be a part of it with dApp ecosystems, smart contracts and a new layer of the internet on top of older apps like YouTube, Instagram and less popular apps such as TikTok, Snapchat, LinkedIn. There will probably be an entire new wave of apps based upon cryptoeconomic transactions and incentives, where even audiences, curators and compilers and not just creators are incentivized. I’m also very involved in YEAY, a word-of-mouth app where GenZ shows its style making production recommendations in the retail and fashion space that is now powered by the WOM Protocol. I post actively on LinkedIn. I cover Gen Z and blockchain trends while working to build more honest recommendations in how word-of-mouth will scale with blockchain on a more ethical, inclusive and ad-free internet. 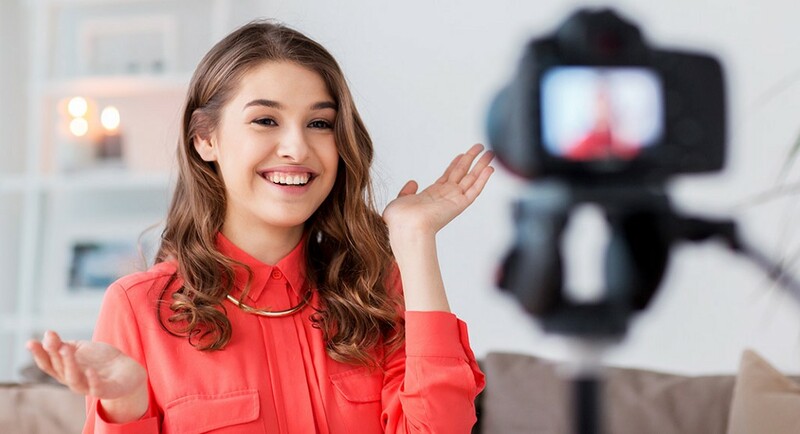 Gen Z are Reshaping the Future of Influencer Marketing was originally published in Marketing And Growth Hacking on Medium, where people are continuing the conversation by highlighting and responding to this story.